It was previously reported that recent release Telugu cult blockbuster film Arjun Reddy, directed by Sanjay Reddy Vanga, will be remade in Tamil. The film's remake rights have been bagged by E4 Entertainment, and Chiyaan Vikram's son Dhruv will be making his debut into the industry by performing the lead role in this remake film. As per latest reports, filmmaker Bala has been roped in to direct the Tamil version. Vikram took to his Instagram to announce the news. This comes as a surprise news for fans. Although it has received mixed response from those who watched Arjun Reddy. One hopes that the remake does justification to the original film. It must also be noted that Vikram got his first breakthrough with Bala's Sethu. Arjun Reddy which was a runaway hit in Telugu earned much acclaim for its raw treatment and also for Vijay Devarkonda’s uninhibited performance. Also, the film documents the intense love-hate relationship between the leads in what industry people would term a multiplex film. It is interesting that Bala, known for his rural-centric subjects, has been chosen to handle the remake. This will also be the ace-director’s first remake. 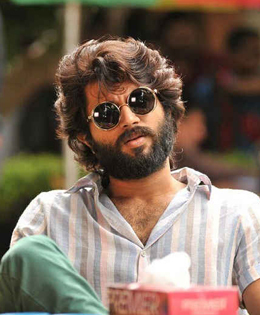 However, the troubled flawed hero who is the centre of Arjun Reddy is right up the director’s alley who has received praise and brickbats for his dark characterisations.